Isle of Skye — hello GETAWAY! The best way to get around this island is definitely by car because you do wanna stop everywhere and indulgde the nature and if you are a photo maniac like us, take pictures of everything! When visiting Skye please have time to explore as much as you can of the island. We recommend at least two days at this fascinating place. It is also very popular to rent a little house for a few days to have as a camp and do little day adventures. When driving at the island you will find the landscape constantly changing structure and form into something new and interesting. Skye is a great destination for hikers, climbers and also for wildlife watching. Animals like eagles, whales, otters, dolphins and red deer is to be seen here. We start our day with the Talisker whiskey distillery as our goal. Talisker, the oldest one on this island is situated on the shores of Loch Harport in the village of Carbost, on the beautiful Minginish Peninsula, with dramatic views of the Black Cullin. Take a tour around or just pop by and have a little taste. After the visit at the distillery, take a little walk up on the hill for some lunch. The Oyster shed is a farm shop with seafood to take away. 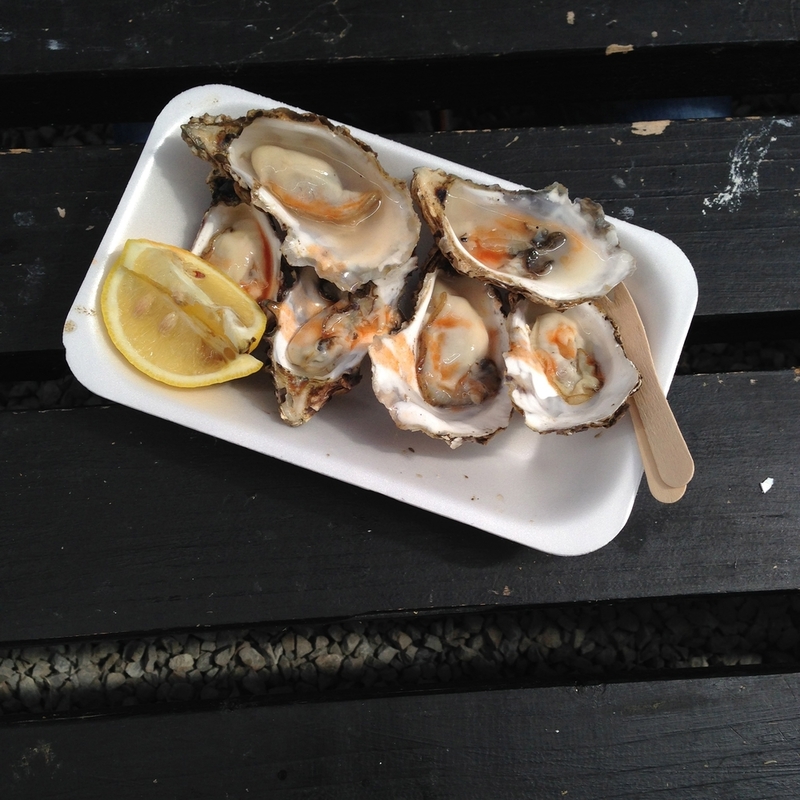 We try their oysters and the lubster with chips, an excellent lunch. There is place to sit outside the farmer shop and relax for a bit in the sun. After that it is time to jump in the car again and drive and stop for a photo pause, drive and stop and so on. 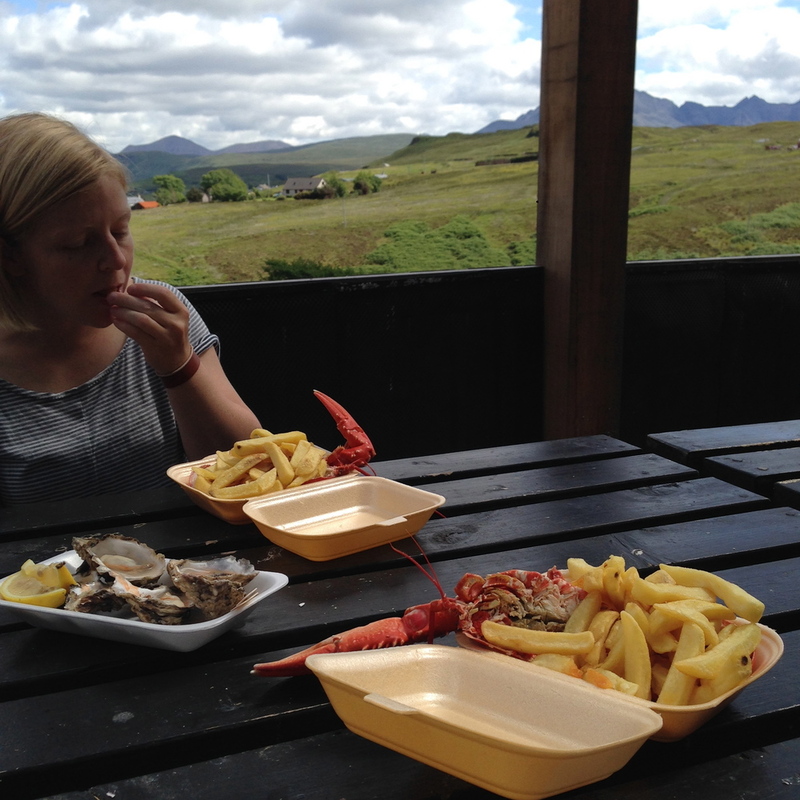 Stop for a short snack and beer break at the beach at Glenbrittle. I can't stop giggle because a lot in Scottland is named with Glen something. In our hometown Gothenburg, Sweden, we play with words a lot. We like to say that everybody in Gothenburg is called Glen but maybe it is something you can start to say in Scotland as well. Isle of skye is a destination that should be on everybody's bucket list on where to travel, you won't be disappointed!